We have been reviewing what we have learned this year about the seasons focusing primarily on spring this time. We wrote about some of the signs of spring and made birds that just hatched in their nest. To make the nests, my students cut up brown paper lunch sacks (I have a ton sitting on my shelves and not much to do with them) and glued them onto their colored paper plates. To make the birds, my students clipped the topp corners of rectangles and rounded the edges. Then they added wiggle eyes and beaks. We made these hot air balloons earlier in the month but I haven't had a chance to post the pictures. When I made these balloons before I used pictures of the kids for the faces, but I actually like the hand-drawn faces better. These balloons would work for teaching the word "up", teaching the letter "u" or with the Dr. Seuss books Great Day for Up! and Oh, the Places You'll Go! Rockin' and Rollin' With Rocks! Our rock pocket chart poem. We learned rocks are everywhere! We made a circle map to show all of the different places we find rocks. We used highlighter tape to highlight word wall words we recognized and could read from our poem. 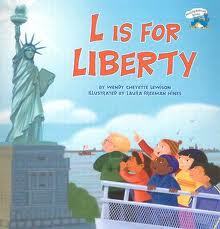 You can find the clipart pictures for the poem here. We used a venn diagram to compare real rocks to pop rocks. .
After reading lots of books about rocks, we wrote a cinquain poem about rocks. We also did some rock fact writing. 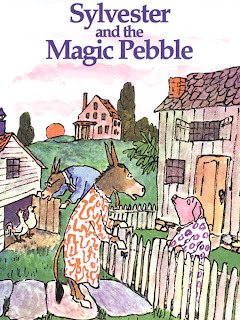 We read Sylvester and the Magic Pebble. We graphed what we would do if we found a magic pebble- make wishes with it or put it up in a safe place. Then we wrote about what we would wish for. We learned about how igneous rock is made. We used an air pop popcorn popper to demonstrate how magma moves up through the earth's crust, runs out as lava, and cools and hardens into igneous rock. Next week we are going to make sedimentary and metamorphic rock. My kids are super excited! You can find the graph signs, the rock writing paper, the pop rock venn signs, and the Sylvester and the Magic Pebble writing paper, along with a lot of other rock resources here. The winner of Carolyn's Prezi Presentation Bundle is Lori. Thanks to all of you who entered and to Carolyn who sponsored the giveaway with her fun and interactive Prezi presentations. Carolyn has just added a new Frog and Toad presentation to her TPT store for FREE. You can check it out here. 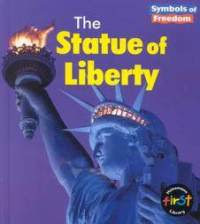 It's that time of year again... time to read one of my favorite books!! 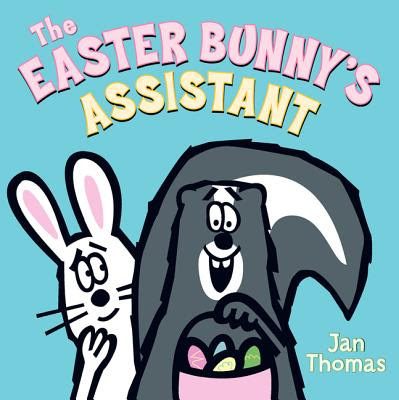 The Easter Bunny's Assistant by Jan Thomas. 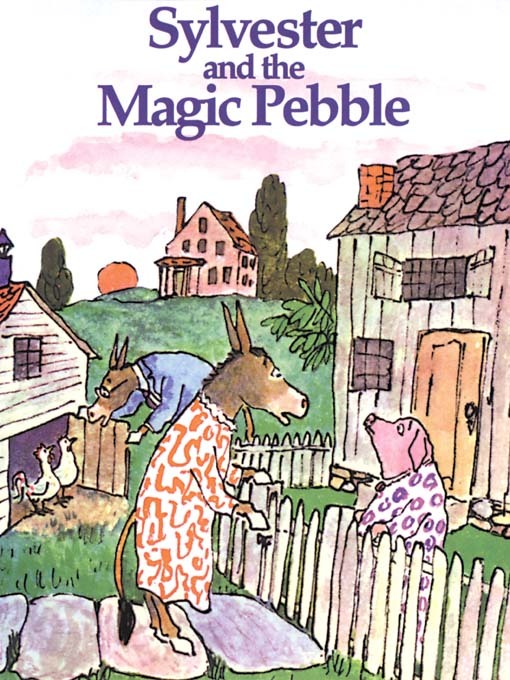 I read the book and stopped right before the Easter Bunny pushed Skunk out. I asked students if they thought the Easter Bunny should keep Skunk as his assistant and why or why not. We also thought about what we Skunk would say to the Easter Bunny to get him to keep his as his assistant. Joyful Learning in KC. Love it!! I know I have posted several times before about Melissa and her blog Joyful Learning in KC... but I have to post again for all of you who have forgotten, been too busy to check out her blog lately, or are new and have never seen it before. Melissa makes great posts all the time about teaching math and writing and using thinking maps and the best part is she gives free downloads for everything she does :) Can't get enough of her!! I have recently been introduced to the cloud-based presentation software Prezi. Its zoomable canvas makes it fun and interactive for little ones. Carolyn Kisloski is a kindergarten teacher from Apalachin, New York who has been teaching kinder for five years. She creates Prezis to use with her Smartboard. She has created a great Prezi resource for Earth Day. You can access her Earth Day Prezi from her TPT store for free right now. Click here to check it out. I think you will LOVE it!! I can't wait to use it with my kiddos. Her kindergarten websites Prezi is also available as a free download. 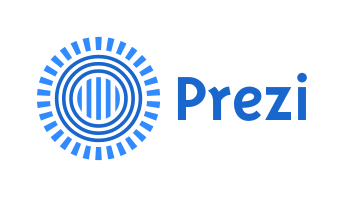 Carolyn has offered to give away all of Prezi presentations to one lucky winner. The bundle includes Primary Math (full of math ideas organized by concept with the common core standards listed), Shake Breaks: Get up and Move (great for transition times, rainy days, and extra minutes), Authors (highlights 9 children's book authors), Letters and Sounds (great for introducing letters and sounds and teaching beginning and ending sounds, works for small group, whole group, and RTI), and Beginning Reading (contains reading strategy posters that can be used during reader's workshop time). Do at least one of the following to enter to win. Leave a comment for every requirement you fulfull for extra chances to win. Don't forget to leave your name and email address in at least one of the comments you make. The giveaway ends Sunday March 24th at midnight. Good Luck!! Congratulations Sara from Polka Dot Kinders!! 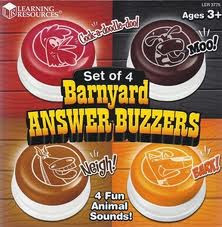 You are the lucky winner of the set of Barnyard Anzswer Buzzers from Learning Resources. Thanks to all of you who entered and to Learning Resources who sponsored the giveaway. Congratulations Ashley Kiebler you are the winner of the Naughty Leprechaun book!! Enjoy!! This week we are learning about living and nonliving things. We started our study off with a schema chart and a pre-assessment sorting activity. I wrote on post-its as my students shared their background knowledge on living things and a few questions they had. Then as a whole group we sorted pictures into living and nonliving categories so that I could learn a little more about what they already knew. They were unsure about people. Some thought they were living and some thought they were not. There were also some misconceptions about things that were living but had died and living things that were no longer on the vine, plant, or tree. Then we read a book about living and nonliving and added some post-its with our new learning to our schema chart. You can find pictures for the sort here. I have another fun product from Learning Resources to give away this week and I think my kiddos have made it their favorite out of all of them. 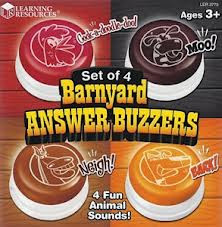 Its the Barnyard Answer Buzzers. We have used these to review word wall words, practice math facts, and answer questions about stories we have read. You can leave a separate comment for each requirement or one saying the requirements you fulfilled. Do not forget to leave your name and email address as part of your comment. The giveaway ends Sunday night March 10th at midnight. I know a lot of you had fun encouraging good behavior by using an elf on a shelf with your class during the month of December . Now you can do the same during the month of March with Liam and Leyland, the naughty and nice leprechaun brothers. Stephanie Hicks is the author of the book The Naughty Lephrechaun Story: A St. Patrick's Day Tradition. 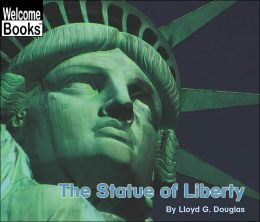 The book offers a fun interactive activity that reinforces the moral that luck is not merely a random event but that it is created through hard work and preparation. The naughty leprechaun visits children and leaves a trail of havoc and pranks while his well behaved brother rewards doing your best with treasures and treats. 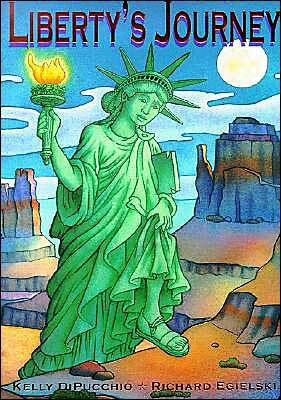 Visits from the brothers start on March 14th, three nights before St. Patrick's Day. I can't wait to use this book and activity with my class and all of you who have already used the elf on the shelf know students will have lots of fun with this! 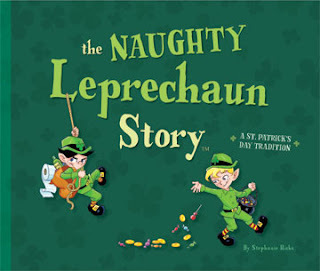 You can learn more about The Naughty Leprechaun Story, see what the boxed set includes, and purchase a copy for your own classroom here. Stephanie has graciously agreed to give away one copy of her book this week so that it will reach you before the day the tradition starts. 1. Check out The Naughty Leprechaun website. 2. Like The Naughty Leprechaun on Facebook. 3. If you tweet, follow The Naughty Leprechaun on Twitter. Leave one comment for all three requirements or a separate comment for each. The giveaway ends at midnight March 6th. I will contact the winner immediately to get mailing information so that Stephanie can get the book and coin in the mail to you right away. Good luck everyone!! 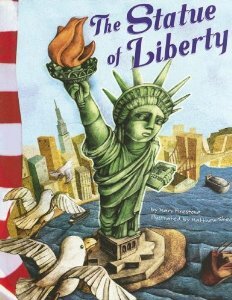 Today we read about the Statue of Liberty and drew Statue of Liberty portraits. We did this as a directional drawing activity. My students followed my step by step directions using a pencil. Then we traced the pencil lines with a black sharpie. Then we water-colored the portraits and cut them out.